Don't keep customers waiting. 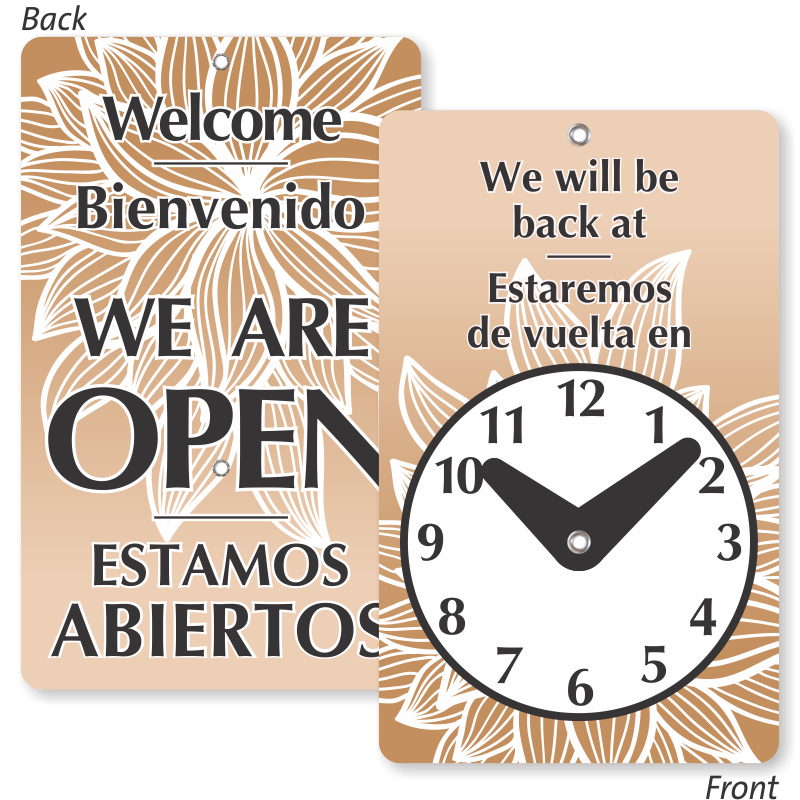 Use this 2-sided Be Back Clock Sign to let your customers know when they can expect you. • Flip the clock to inform customers of your availability. • Message printed on the sign is bold and easily visible from afar. This sign replaced a 20-year-old OPEN and CLOSED sign that looks like it came from a 1950s gas station rather than a university department. It was a pleasure to take down the old one and tear it up. Great quality and goes really nicely with the soft earthy colors in our clinic. Makes a nice impression and is a very welcoming sign. Very Neat and user friendly. Delighted with my order.